Zinc is one of the most beneficial elements when it comes to maintaining oral health. It’s well known how important fluoride is for dental health; however, fewer are aware of zinc’s health-promoting attributes. What does Zinc do for your teeth? While zinc doesn’t strengthen your enamel in the same way that fluoride does, it can still help with reducing possible demineralization of your teeth and may even help remineralize your teeth. Because of this, the chances you will experience tooth decay or have cavities is reduced. Zinc may help avoid common gum diseases, including gingivitis and other mild periodontal issues. Using a toothpaste or oral rinse that include zinc ions is a great way to help promote subgingival (below the gums) health. Remember, drinking water with fluoride and using a toothpaste with zinc is only helpful if you maintain proper oral car.! No amount of fluoride, zinc, or other oral health promoting product can overcome disregard for timely and correct oral care. Sulfur gas, produced in your mouth by protein-eating bacteria, is damaging to soft tissue in the mouth. This is part of the reason smoking is detrimental to oral health: introducing additional sulfur gas (bad breath) into an oral environment is never healthy. Unfortunately, this problem of bad breath (sulfur gas) is faced by 100% of people at some point in their lives. Don’t worry too much, it’s perfectly normal! However, many people don’t know the true cause of bad breath. The concerning odor as you are meeting new people, in the workplace, or in the bedroom is made up of Volatile Sulfur Compounds (VSCs), also called sulfur gas. 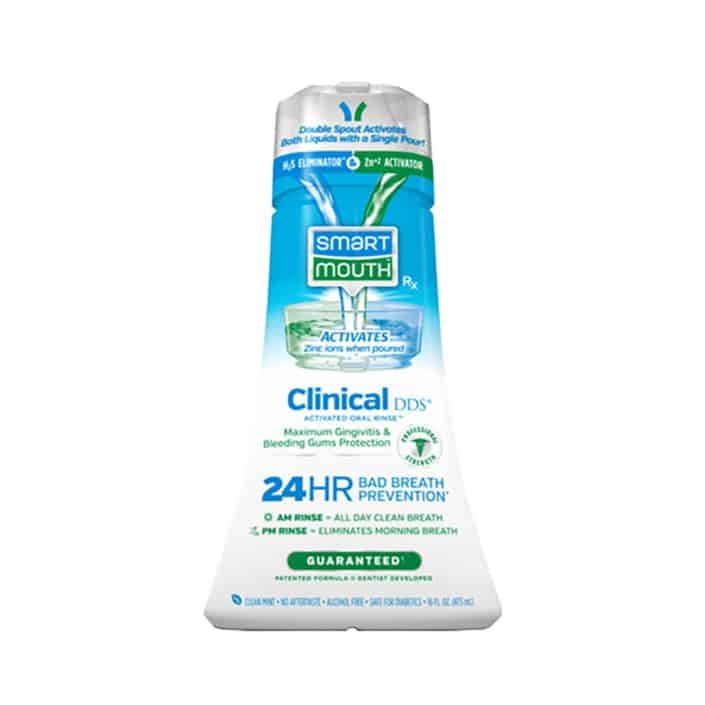 SmartMouth’s zinc ion technology activates when the two liquids are poured. 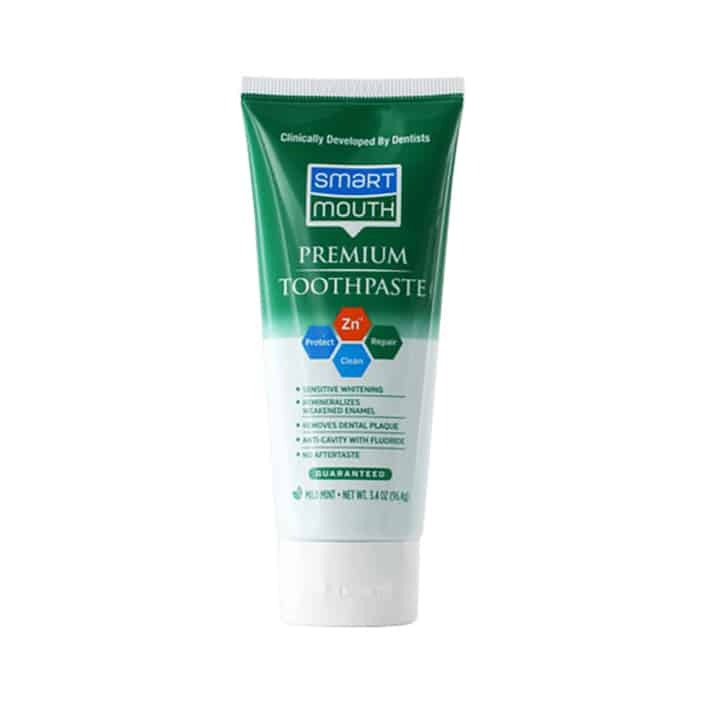 When activated, SmartMouth releases billions of zinc ions. 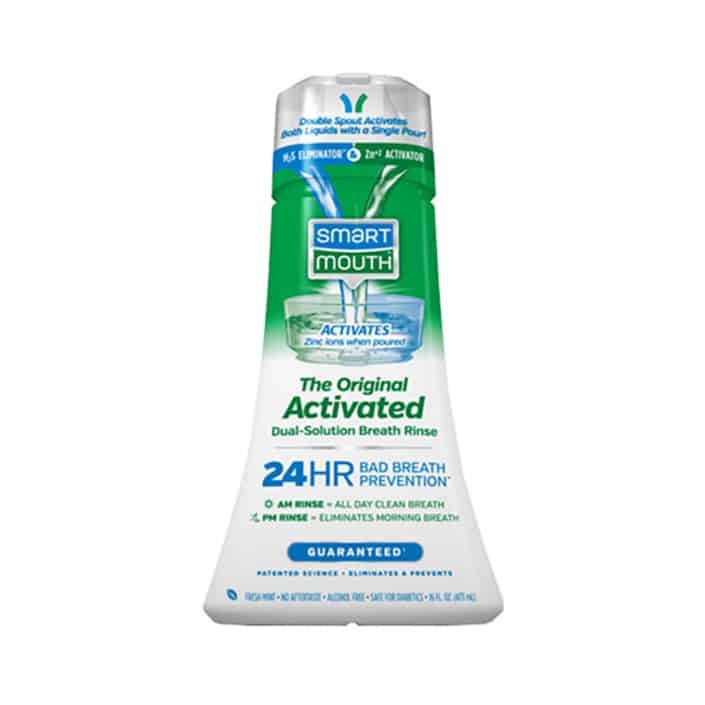 This activated zinc binds to protein receptors on oral bacteria, preventing germs from consuming protein or creating sulfur gas for 12 hours per rinse. No sulfur gas? No bad breath!